There are plenty of good reasons you need to be getting enough Niacin in your diet. For a start it helps you control cholesterol levels, it reduces the chance of developing diabetes, and it even supports joints. If you don’t have enough niacin it can leave you feeling fatigued, give you digestive issues, and can even leave you depressed. This is why you need to eat plenty of niacin-rich foods to get enough Vitamin B3. It’s a good idea not to rely on supplements and instead get all your niacin needs from foods. One of the main reasons that many Americans don’t suffer from niacin deficiency is that, as well as being one of the most consumed meats in America, is also one of the most niacin-rich foods there is. One serving of chicken can provide you with roughly your RDI of niacin. So if you were to eat chicken for one meal and another meat for another meal you’d be covered. 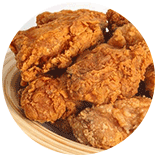 A 100 gram serving of chicken gives you 7.8 milligrams of niacin and contains 172 calories. Many people give bacon a bad name because it includes so many calories, so much fat, and cholesterol. But it’s also rich in niacin. You can easily make bacon a part of your healthy diet as long as you control your portion sizes. The good idea is to eat turkey bacon instead because it’s healthier and still has plenty of niacin. 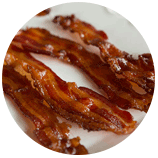 A 100 gram serving of bacon gives you 11 milligrams of niacin and contains 476 calories. If you’re someone who already eats a lot of tuna, then you’ll be pleased to hear that it’s got a lot of niacin in it. 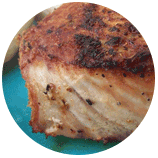 Tuna is also known for being an excellent source of protein and healthy omega-3 fatty acids. You shouldn’t eat too much tuna however as there are concerns about how much mercury it contains. It still makes for a great occasional treat, though. A 100 gram serving of tuna contains 5.8 milligrams of niacin and 184 calories. It doesn’t matter what kind of mushroom you like as almost all of them have some niacin in them. Each mushroom also has its own unique benefits and characteristics. Portabella mushrooms are hearty and sturdy while shitake is said to help prevent cancer. 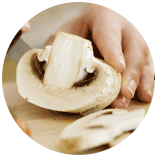 A 100 gram serving of mushrooms contains 5 milligrams of niacin and 38 calories. Broccoli is a super food in the truest sense of the word. It does just about everything and that includes containing niacin. It’s not a massive amount but every little help, and there are so many benefits to broccoli that it’s just worth being in your diet anyway. It’s packed with protein, fiber, and plenty of other vitamins and minerals. 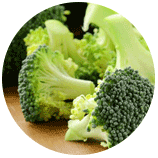 A 100 gram serving of broccoli contains 0.64 milligrams of niacin and 34 calories. The amount of niacin in veal depends on the cut of veal that you have, but you should know that every cut of veal has a good amount of niacin in it. With the right cut, you could even end up getting two-thirds of your total RDI of niacin. While you aren’t likely to make veal a regular meal, it will go a long way on the days that you do have it. 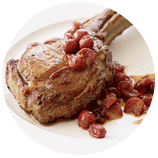 A 100 gram serving of veal contains 9.42 milligrams of niacin and 172 calories. Because turkey is so readily available and is one of the most common sandwich fillers in the US, it’s great to hear that it contains so much niacin. If you’re going to eat turkey, you need to get roasted turkey breasts, though. This way you can avoid getting the added sodium and nitrates that come with deli meats. Turkey has so much niacin that one serving gives you almost all your recommended daily intake. 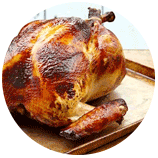 A 100 gram serving of turkey contains 11.75 milligrams of niacin and 104 calories. Beef is another one of those meats that most people eat. Much like chicken it’s a very common food in the States and is another reason that niacin deficiency is hard to come by. 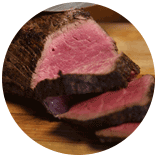 If you’re going for beef, then go for the lean option because there are fewer calories but still plenty of niacin. 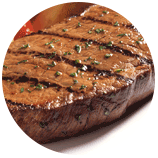 A 100 gram serving of beef contains 9 milligrams of niacin and 188 calories. 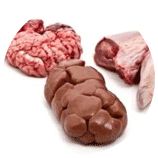 Organ meats are the kind of food that your family might give you sour looks for serving, but it’s hard to overlook them because of their high nutritional content. They are packed full of many different vitamins and minerals, and that includes niacin. It doesn’t matter which organ you go with or which animal as it’s likely the organ meat will contain over 10 milligrams per 100-gram serving. A 100 gram serving of organ meat contains around 10 milligrams of niacin, but the calorie count depends on the meat. Asparagus is one of the best vegetables you can put on your plate, and it can go a long way in the larger niacin picture. It’s a great food to have alongside the meats and other foods that are high in niacin. Have asparagus alongside chicken and beef to complete the nutritional profile and give you a little extra niacin. Remember that you should get your vitamins from a variety of sources and eat a balanced diet. 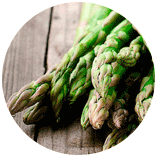 A 100 gram serving of asparagus contains 1 milligram of niacin and 20 calories. If you’re a fan of peanuts, then you won’t have much trouble meeting your niacin needs. Peanuts are a great source of niacin, and 100 grams has almost all your niacin needs. Peanut butter should have the same amounts as long as you go for a brand where the peanut butter is made using just peanuts. 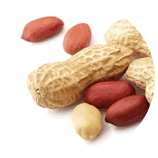 A 100 gram serving of peanuts contains 12 milligrams of niacin and 318 calories. Many people are regular coffee drinkers, and one of the best things about coffee is that it has almost all your niacin needs. Just be warned that the calorie count we give for it is of black coffee. 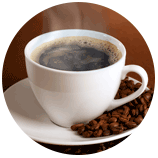 Coffee also has a lot of caffeine, and that can have an adverse and dehydrating effect on the body. A cup of coffee contains 39.73 milligrams of niacin and two calories. 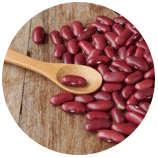 Kidney beans are another example of food that may not provide a whole lot of niacin but still deserves to be represented because it goes a way towards helping you reach your niacin goals. Kidney beans are also versatile and can go with just about any dish. It can also be used as a side dish or thrown into chili or soup. A 100 gram serving of kidney beans contains 2 milligrams of niacin and 127 calories. If you’re a little wary about trying the wild game, then you should probably bite the bullet and try it out. You can get a lot of nutrition depending on the animal, and that includes niacin. Some wild game has niacin levels that can compare with the most popular meats of beef and chicken. Wild game will also be free of the antibiotics and chemicals that are found in farm animals. A 100 gram serving of wild game contains varying amounts of niacin and calories. 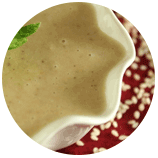 Tahini is another word for sesame butter, which is butter made from sesame seeds. Sesame seeds are packed full of protein and several other essential nutrients. Of course, this means it contains plenty of niacin. It’s a good idea to manage your portion sizes though as tahini contains a lot of calories and can quickly send you over your RDI of calories. A 100 gram serving of tahini contains 6.7 milligrams of niacin and 595 calories. Pork is the third on the list of most consumed meats in the US after beef and chicken, but it’s got more niacin than both of those. You should include pork in your diet and have it a few times a week, but we recommend going with lean cuts of pork can contain a lot of fat. 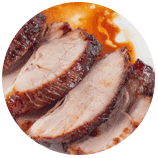 A 100 gram serving of pork contains 15 milligrams of niacin and 179 calories. These days cereals are fortified with vitamins and minerals, and this includes niacin. Unfortunately, some brands of cereal seem to try a little too hard and they contain too much niacin as you only need 15 milligrams and some cereals contain far more. That’s why you should think about getting your niacin from more natural sources. 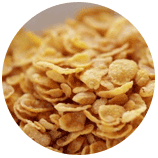 A 100 gram serving of cereal contains between 30-58 milligrams of niacin, and they have varying calorie amounts. Bell peppers make any meal more colorful, and they also add some niacin to your diet, even if it’s not a lot. Even though vegetables don’t often contain a lot of niacin, bell peppers contain more niacin than most vegetables. As such they can help you reach your niacin goals, and they go with just about anything so you’ll have no trouble fitting them into your diet. 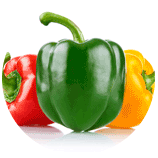 A 100 gram serving of bell peppers contains 1 milligram of niacin and 20 calories. The niacin food list above is only intended for general reference. If you suffer from niacin deficiency, consult your doctor for proper treatment.